Penrith City Council won an award for its sustainable community centre. 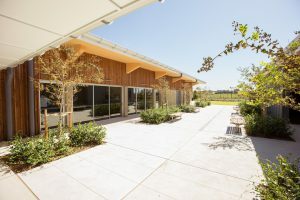 A sustainable community centre in western Sydney has been recognised as leading the way in eco-friendly building practices for its innovative green design. Equipped with a 20kW PV solar system, geothermal heating and cooling and water-efficient fittings, the Jordan Springs Community Hub in Penrith is at the forefront of sustainable infrastructure design. The eco-hub’s exemplar fitout saw Penrith City Council take out the prestigious Local Government NSW Excellence in the Environment Awards last month. The centre, which opened in April 2018, is the first in NSW to be built from cross laminated timber, which has a lower carbon footprint than other materials and creates zero waste in the production process. Penrith mayor Ross Fowler says the centre demonstrates the council’s commitment to sustainability. 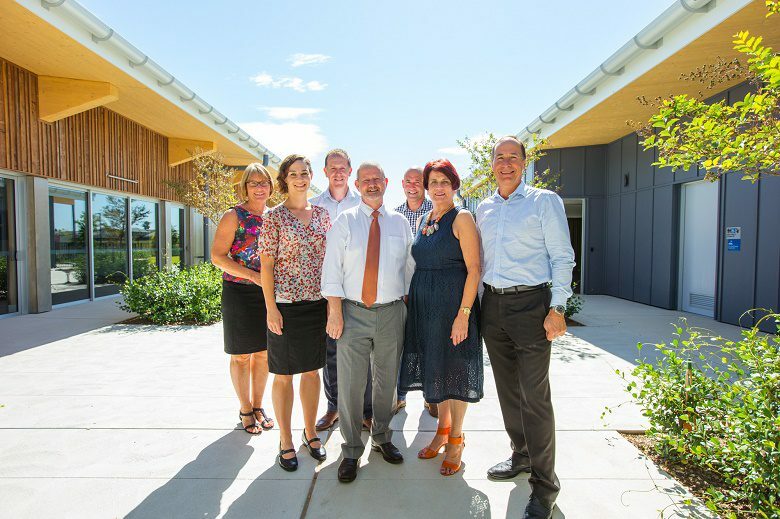 “It will come as no surprise to anyone who has visited the Jordan Springs Community Hub that it is being recognised for excellence in sustainable building practices,” he says. The hub is the first in NSW to be built from cross laminated timber. The hub, built in partnership with property developer Lendlease, utilises a geothermal heating and cooling system that relies on the relatively constant temperature of the earth – a feature expected to slice carbon emissions by 50 per cent, resulting in a reduction of 37 tonnes of CO2 every year. The heating system is so effective that the council says the cost of the system will be paid off through savings in less than 10 years. The building also uses a 20kW photovoltaic solar system, a feature expected to reduce CO2 emissions by 25 tonnes per year. As well as utilising an energy-efficient heating system, the building minimises power usage through passive design principles aimed at expelling hot air including light coloured roofing, effective insulation, high performance window glazing and landscaping. Effective insulation and high performance glazing in all of the windows and doors, as well as lightly-coloured roofing, are all set to see the building reduce energy use by 15 per cent while ensuring the facility is resilient to heat. The building uses energy efficient LED lighting throughout, with 90 per cent of the lights on automated control to prevent power being wasted. The landscaping has also been designed to respond to Penrith’s warm climate by incorporating impervious garden surfaces to capture rainwater runoff, as well as using green spaces and tree canopy. The centre is also water-friendly, utilising a combination of water efficient fittings and a 16,000 litre water tank – both set to achieve a 22 per cent reduction in stormwater leaving the site and a 25 per cent reduction in overall water usage.